Peggy Olin, an acclaimed real estate strategist and broker since 1999, brings expertise to the luxury real estate industry. Throughout her career, Peggy has overseen the management and supervision of luxury condominium sales, investor relations, human resources and public relations for some of the largest real estate companies in the United States. Peggy’s market knowledge and reputation have also led to consulting for some of the largest developers nationwide and abroad, while managing properties all over the U.S. She specializes in the international market and over the past two years, she has been instrumental in attracting foreign brokers and buyers to invest in the U.S. real estate market by investing her time to visit over 16 international cities throughout 11 countries. Peggy started OneWorld Properties in 2008 with the goal of creating a new kind of brokerage with honesty, drive and enthusiasm that would deliver fresh and innovative ideas during the time of the failed real estate market. OneWorld Properties became the preferred broker and consultant for many financial institutions, including TotalBank, BankUnited, SunTrust, Chase Bank and Green River Capital among others, with whom OneWorld Properties successfully sold $50 million in REO assets during an 18-month period. In addition, OneWorld Properties consulted with these financial institutions to successfully reposition a select number of large-scale projects in Orlando, Tampa, Jacksonville and South Florida. Before starting OneWorld Properties, Peggy began her real estate career with WCI Communities, at the time the largest publicly-traded hospitality, residential and amenity developer in Florida, where she managed properties for over six years. Peggy’s innate ability to translate global initiatives into effective local marketing programs proved extremely beneficial for many of WCI’s properties including BellaMare, One Bal Harbour, Mosaic and Plaza at Oceanside. Peggy has also worked with Turnberry, Ltd. on several luxury properties, including The Residences at Atlantis in the Bahamas. In 2010, Peggy and OneWorld Properties were hand-selected by ST Residential to head the sales and marketing strategies for its nationwide portfolio. ST Residential is a public-private consortium strengthened by the Federal Deposit Insurance Corporation (FDIC), and a consortium comprised of a select group of investors: Starwood Capital, TPG Capital, WLR LeFrak and Perry Capital, the companies behind brands such as W Hotels, St. Regis, Ducati and Neiman Marcus. In 2009, ST Residential took over the assets of Corus Bank, which went bankrupt, consisting of a portfolio of over 100 properties throughout the country in an the effort to stabilize the residential real estate market with an unmatched level of detail to design, amenities and services. As Senior Vice President and Director of Sales and Marketing for ST Residential, Peggy led the creation of innovative sales and marketing initiatives for over 40 properties in its nationwide portfolio with properties in Houston, Atlanta, Las Vegas and South Florida in projects like Paramount Bay in Miami, Mint at Riverfront, Artécity in Miami Beach and Infinity in Brickell. In an unprecedented effort and with Peggy’s leadership, ST Residential sold more than $4 billion and 10,000 units over three years, helping to restore confidence in the real estate market. Peggy has always had a passion for development sales and honed her sales and marketing skills while awaiting the upturn in the economy. In 2009, OneWorld Properties was awarded the sales and marketing efforts for Plaza at Oceanside, followed by Artécity on Miami Beach and Dolcevita on Singer Island, together totaling over $200 million in sales. More recently, OneWorld Properties has been awarded the exclusive sales and marketing of various pre-construction projects to its portfolio totaling a sellout of over $3 billion. Those properties include recently completed PARAMOUNT Fort Lauderdale Beach, the only residential building to be delivered on the strip in over a decade, and Brickell Ten, urban luxury residences in the heart of Miami. Under construction are PARAMOUNT Miami Worldcenter, the signature residential tower for the second-largest urban master planned community in the United States; 100 Las Olas, Fort Lauderdale’s tallest building; YOTELPAD Miami, urban residences in Downtown Miami; and SPECTRUM+ at Reunion Resort, luxury vacation residences in the heart of Orlando. Peggy has been recognized for her creative marketing and sales strategies that have helped revive the South Florida real estate market. Peggy and her team strive to provide accurate and reliable market studies as well as effective sales and marketing strategies while paying close attention to detail. Peggy has lived in Broward County for over 10 years and is involved in the local community. 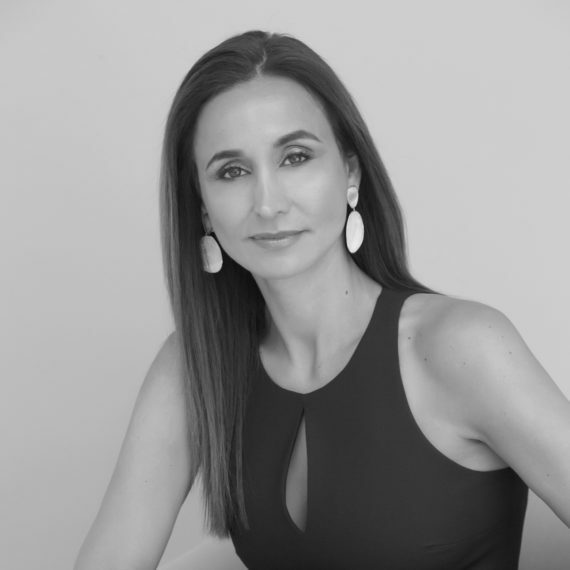 She is a Board Member of Miami Bridge, Birch State Park and Broward Workshop, a Trustee for the Greater Fort Lauderdale Chamber of Commerce, and a member of the Young Presidents Organization (YPO). She previously served as a Trustee for the Charitable Foundation of The Realtor Association of Greater Fort Lauderdale. Peggy has been honored by the South Florida Business Journal as one of their “40 Under 40” and “Power Leaders in Real Estate,” as well as a “Top Workplace Professional” by the Sun-Sentinel for her ongoing professional and philanthropic leadership.